Thomas Dinkel celebrated a very special work anniversary at TFA Dostmann: 40 years ago, on the 1st of October 1978, he started his training as an industrial clerk and remained loyal to the Reicholzheim-based company throughout his professional life. In addition to his job, Thomas has always continued his education and professional development and in 1985 he made a career jump and became the export manager. “Every company thrives on employees who can go the extra mile, who are willing to take ownership over their work and who represent the company in the best way possible. 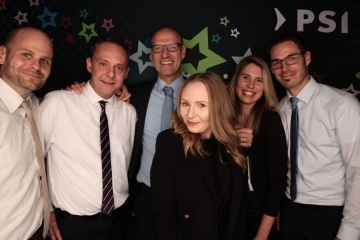 In these 40 years of service you have been a loyal and responsible co-worker to TFA, and you have made a significant contribution to our company’s success “, praised CEO Axel Dostmann his longtime colleague and companion on the occasion of a ceremony. He was the first one in the morning and often the last one in the office in the evening. 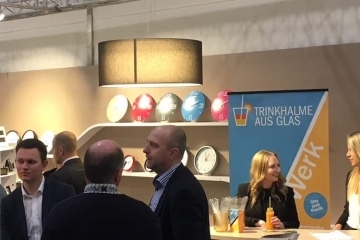 Thanks to his language skills, he was an excellent representative for TFA in all foreign markets and had always been the poster boy for export customers at the many fairs that they both had frequently visited together over the years. Finally, Axel Dostmann presented the celebrating co-worker with the official certificate of the IHK (German Chamber of Industry and Commerce) and a personalised gift. Thomas was not only 40 years in the TFA, but also married to his wife just as long and have never regretted any of them, said him smirking in his short acceptance speech. He praised his closest associates for the continuous good cooperation and the many years of support. The event ended with a few drinks.